Sleep is what allows the body to recover energy. That is why it is important for people, regardless of their age, to have adequate sleep. With proper sleep, the body can function well – not only in its physical aspect but also in its emotional and cognitive aspects too. 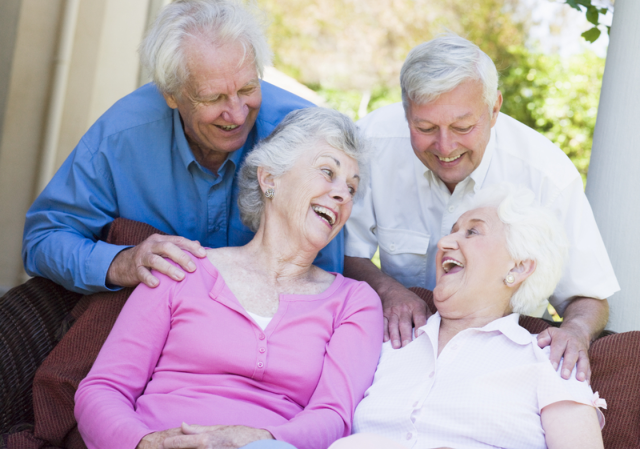 Being social is a must for seniors as this has a positive effect on their overall health. It is even one of the best methods to fight off mental health problems. However, seniors should pay attention to who they interact with. It is highly recommended to find a social circle that is highly supportive. Seniors must eat a balanced diet. Their diet must be filled with nutritious foods; one that is composed of fruits, vegetables, low-fat, and high-fiber foods. Eating healthy can improve a senior’s overall well-being. It is also a good way to promote longer life. Stress can never be totally eliminated. If seniors allow themselves to be burdened with stress, it will have negative effects on their life. For example, when a senior is stressed, they end up getting less sleep at night. If that happens, then they won’t be able to get the energy they need. It may affect their health too. Thus, find a way to properly deal with stress. Breathing exercises and other enjoyable activities prove to be good stress-reliever for seniors. The doctor is not only capable of diagnosing health problems; they are also the best people to go to when you want to maintain a healthy body. If a senior visits the doctor on a regular basis, the latter can monitor their health and provide them with the appropriate advice. Find a trustworthy doctor to go to for a routine medical checkup. Good hygiene is linked with good health. If seniors keep themselves clean, they can avoid a range of health problems associated with poor hygiene. Maintaining good hygiene includes brushing the teeth, bathing regularly, wearing clean clothes, and the like. Seniors should exercise both the mind and body. For the body, physical exercises tailored for seniors are already available nowadays, so it should not be difficult to stay active. Aside from physical activities, many activities that involve moving around can be adopted too. Examples would be dancing or swimming. For the mind, talk with others, playing board games, or doing arts and crafts are some of the suggested activities for seniors. If you need someone to help guide a senior in adopting these healthy habits, Lowenhill Home Care Services is just one call away. We can discuss what the senior needs!